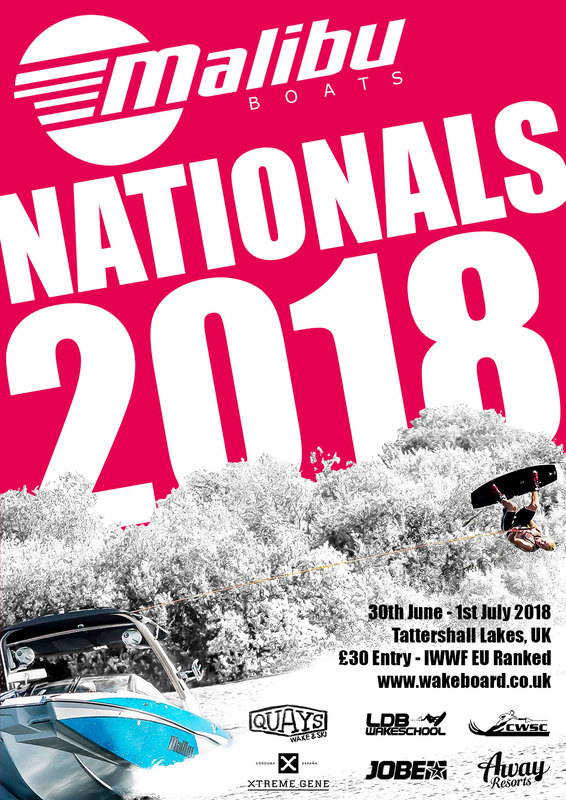 Wakeboard UK are proud to announce the date and location of the 2018 Malibu Boats Wakeboard Nationals Championships. The competition is being held on the weekend of 30th June - 1st July 2018 and returns to the amazing Tattershall Lakes Resort, Lincolnshire. Entry to the competition is via the online form at the BWSW website. Anyone who has visited Tattershall will know the lake is a fantastic venue and most importantly, deep enough to handle the pro-wake sized Malibu boat we have lined up to pull the competition. Waterside accommodation, restaurant, bar and play areas ensure everyone can watch the action whilst keeping themselves and their family well-fed and entertained. Wakeboard UK would like to extend our thanks to the hosting club Castle Water Ski Club who not only provide valuable time on their fantastic lake to enable the National Championships but also help out greatly at the event to keep the competition working smoothly and safely. Castle Water Ski Club is a family friendly club with a proud history and roots going back to the early 1950’s. The club is affiliated to the British Water Ski & Wakeboard Federation and are a members run club. In addition to the high-end wakeboard action at the competition, Malibu Boats will be demonstrating the awesome wakesurfing wakes and Integrated Surf System on their boats. The Malibu Integrated Surf System (ISP) is a combination of surf generating tech that all work together including the Power Wedge II, Quad Hard-Tank Ballast, Tailored Swim Platform Design, Performance Hull Design, and SurfGate. These are all controlled as one by the Command Centre dashboard. In addition, using their SurfBand, a rider can control boat speed, surf side, wedge position and even stereo volume all from behind the boat. If you are looking to see how you can catch some surf behind the same boat that will also create a pro-level wakeboarding wake, sign up for this session - details to follow. Note you must have entered the comp to book practice. The competition for 2018 promises to be hotly contested with the level of riding increasing - expect to see some insane tricks thrown down by British riders freshly back from their winter overseas training bases. 2018 is a big year for UK wakeboarders with the IWWF Worlds, Nationals, IWWF Europeans and Wake Open - all IWWF ranking events for British riders. Note that entering the Nationals is a proviso of being included in the Team GB Squad. 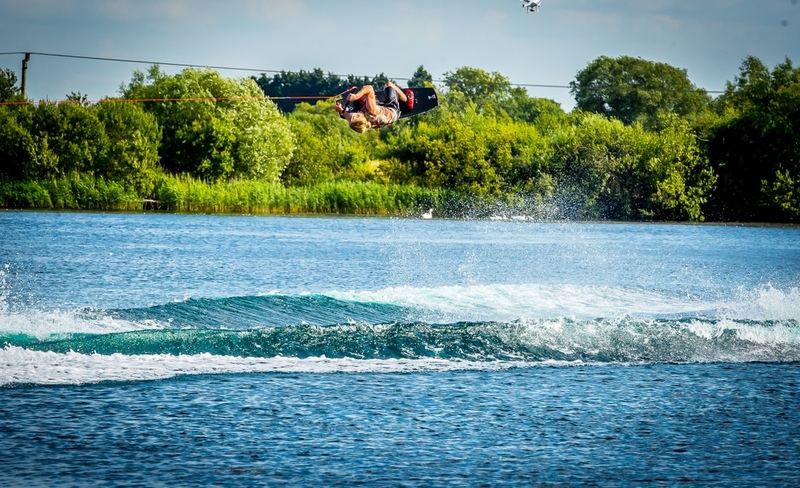 Tattershall is a holiday destination in its own right so entertainment is built in, including such attractions as an onsite wakeboard cable, inflatable fun area, restaurants, bars etc. For full information visit the Away Resorts website. Full competition details (including any changes) will be located on the 2018 Nationals Competition web page. Updates will also be sent out by Insta/Facebook/Twitter and our mailing list. Wakeboard UK are the official committee for boat wakeboarding in the UK, and are part of BWSW. We work in association with the BWSW and Sport England to promote wakeboarding and push the sport forward. We organise the UK National Championships and select and manage the UK Team for European and World Championships. Malibu Boats Inc. is the world’s leading producer of watersports tow boats. They command more market share, more versatility and more first-to-market innovations than any other brand on the water today. Whilst hand-built in the USA, Malibu Boats UK distribute and support the brand from their state-of-the-art facilities in Crewe, Cheshire. Their multiple workshops, decades of combined experience and investment in the very best of tooling and training ensure that you will always be in safe hands. Tattershall Lakes provides an ideal holiday location and wakeboard competition accommodation with choices from lakeside lodges to posh camping next to the competition site. Book accommodation and touring online at the Away Resorts website. Website content copyright © 2007-2018 Wakeboard UK. Website developed by Jeremy Nevill from Lisys. Source code is licensed MIT.